Guests enjoy free access to the eco resort’s three waterfalls, cool rivers, Hot Springs, and miles of private trails through extensive pristine forest. The guest rooms are crafted with nature in mind, to invite in the outside environment to insure the atmosphere of Costa Rica’s natural beauty. 3 Meals a day are also included with every stay. Our unique tropical setting makes it a destination that defines paradise. 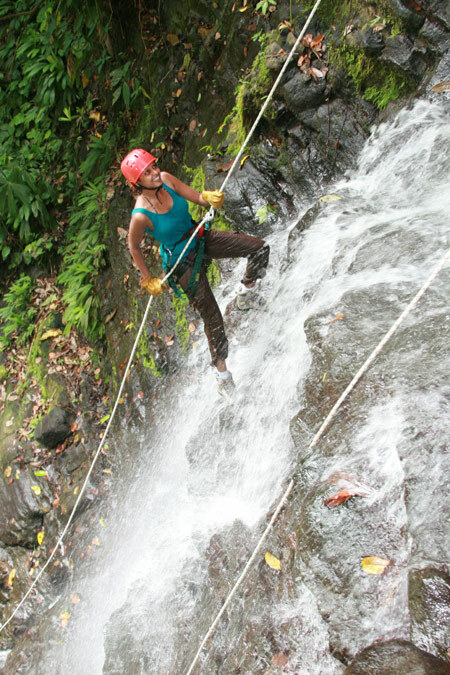 Our goal is to provide you with an unforgettable Costa Rican vacation experience. If you seek simply the majestic tranquility of nature, you can enjoy guided hikes in the primary rainforest, explore the River Canas, waterfalls with natural pools, Hot Springs, Gardens and Trails, Birding, or relax in a hammock and swim in the pool. Adventure is plentiful. Enjoy one of the many exciting activities we offer including horseback riding, canopy zip lining, world class off shore fishing, white water rafting, ATV, mangrove eco tour, sunset cruise, or one of the many others you will find here! Our specialized packages such as Boot Camp Costa Rica and concierge style approach takes care of all the details ensuring you a stress free visit. We look forward to sharing all that Costa Rica has to offer with you.